Welcome to National Trust for Scotland’s Castle Trail in Aberdeenshire- the ONLY castle trail in Scotland! 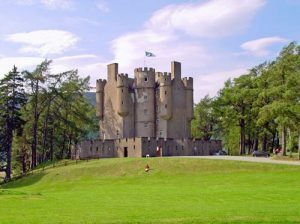 The trail consists of 14 of the world’s most unique castles,from the rugged splendour of Kildrummy Castle and the romantic ruins of Huntly Castle to restored family castles such as Crathes and Fyvie. The region shows distinctive brown styles with the recognisable blue castle logo which will lead you around the castles throughout Aberdeenshire, however, if you are pre-planning your trip then this website helps you find out more abut the individual astles on the trail, with directions, details about facilities and photographs. You can of course also find out more at www.nts.org.uk. Take yourself on a journey of secret passages, haunted rooms and dungeons and discover the stuff of ghost stories! There is much to learn and discover.